Where We Are - EPM, Inc. The EPM Corporate Office is located in one of New England’s most central spots, 20 minutes from downtown Boston in Framingham, Massachusetts. This location is only a short drive from Boston’s Logan Airport, and in the midst of over 45 universities and colleges, in just Massachusetts alone! 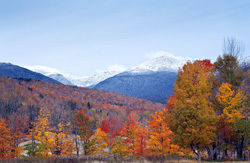 The beautiful and historic New England area is comprised of six distinctive states, including Massachusetts, Connecticut, Maine, New Hampshire, Rhode Island and Vermont. 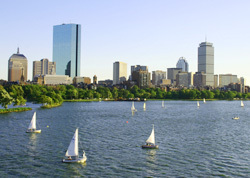 New England offers its residents all four seasons, giving you the opportunity to enjoy lazy summer days on Cape Cod and the islands of Martha’s Vineyard and Nantucket, winter skiing on the slopes of Vermont, fall afternoons taking in the beautiful foliage of New Hampshire, or enjoying a spring walk through the tulips in the Boston Public Gardens. Massachusetts is home to world-class museums, concert halls and theaters, rich with history and culture around every corner. If you are not already a sports fan, Boston will quickly change your mind as we are home to four championship teams. 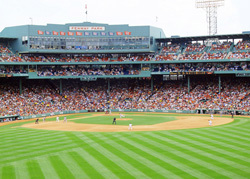 Enjoy a ball game at our beloved Fenway Park – home of the 2004, 2007, 2013, and 2018 World Series Champions, the Boston Red Sox, or head to Gillette Stadium to watch the four-time Super Bowl Champs, the New England Patriots. If you want to stay indoors, head on to the Boston Garden to catch the 17-time World Champion Boston Celtics, or the most recent team to add to our accolades, the 2011 Stanley Cup winning Boston Bruins. If any word can describe our neck of the woods it is the “pride” which we take in our history, culture, sports, our food, and of course, the great pride we all feel for the extraordinary talent of our community! Raleigh, known as the “City of Oaks" for its many oak trees, is the capital and the second largest city in the state of North Carolina as well as the seat of Wake County. Home to seven North Carolina universities and colleges, the Raleigh area is rich in educational opportunities. As one of the three “corners" of the Research Triangle, Raleigh's academic research network begins with North Carolina State University in Raleigh and is enhanced by the University of North Carolina at Chapel Hill and Duke University and North Carolina Central University in Durham. All of these North Carolina Universities are within a 30-minute commute of each other and are only 10-15 minutes from Research Triangle Park, one of the nation's largest and most prestigious planned research centers. 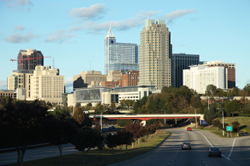 Raleigh has been consistently ranked as one on the best places for business and careers. Raleigh is located in the gently rolling pine woods of the central Piedmont section of North Carolina, midway between the Great Smoky Mountains to the west and the Atlantic Ocean to the east, each about a three-hour drive. 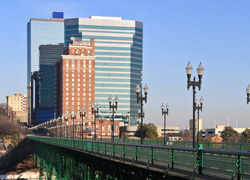 Because it is a modest sized city, Raleigh does not have the typical big city traffic, but does have ample resources for culture and entertainment such as the Performing Arts Center and the newly constructed Raleigh Convention Center, as well as the RBC Center which hosts major entertainment and sporting events. In addition to the abundance of college sports, Raleigh is the home of the National Hockey League's Carolina Hurricanes franchise, and there are two minor league baselball teams, the Durham Bulls and the Carolina Mudcats, that play nearby. The Raleigh area and surrounding communities are known for their good schools and safe neighborhoods. With a leaning to the mild side, enjoy four distinct seasons, good barbecue, and a great place to live and work! Engineering services in North Carolina are provided by EPM North Carolina, Inc., a wholly owned affiliate of Engineering, Planning & Management, Inc.
EPM’s Knoxville office is in beautiful East Tennessee. Our location sits in the shadows of the majestic Smokey Mountains. 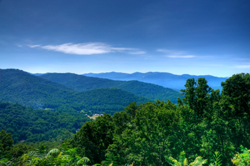 Just a short drive will take residents into the heart of the mountains where you will find Gatlinburg and Pigeon Forge, both popular tourist destinations, nestled away. 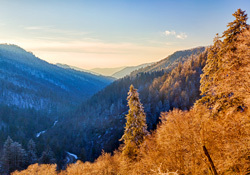 There are many attractions and outdoor activities including hiking, camping, boating, tubing down the Pigeon River, and visiting the famous Dollywood and Splash Country Theme Parks. Knoxville itself is an urban community with a rural feel. 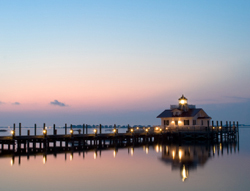 Nothing beats the hospitality and friendliness of the south, and you will find both in abundance in our great city. Anywhere you go, you are met with a smile, and probably by an avid University of Tennessee Volunteers fan! Our city turns into a sea of orange on Saturdays in the fall as we support and cheer for our favorite team – the Vols! Neyland Stadium, one of college football’s most iconic landmarks, is the fourth-largest stadium in the nation, and truly a sight to behold on game day! If baseball is more your style, we also have the Tennessee Smokies, a minor league team that calls nearby Sevierville home. Residents of Knoxville enjoy all four seasons. Hot, sunny summers give way to a beautiful fall filled with colorful collages of foliage (along with Vol football!) Winter is cold, but generally mild, and quickly followed by spring, which brings our famous Dogwood trees into bloom. Knoxville is southern pride and tradition exemplified. We love our people, our city, our teams, our surroundings, and our heritage! No professional engineering services are provided from the Tennessee office.